Handling Travel requests from in house and branches. Servicing ticket requests - train, bus & air for walk-in customers and branch requests. Candidate with 2-3 years travel experience ( International/Domestic ticketing and travel documentation), Experience in CRS Amadeus/ Galileo/Abacus. Muthoot Fincorp Limited, the flagship Company of the Muthoot Pappachan Group (MPG), is a finance company that caters to the financial needs of retail and institutional customers. We are registered with the Reserve Bank of India as a systemically important non-deposit taking non-banking finance company (NBFC) with a paid up capital of Rs 186.56 Crores and a Net Worth of Rs 1186.56 Crores as on 31-03-2013. 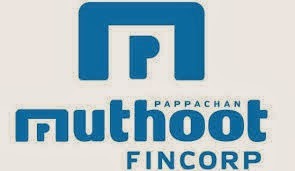 At Muthoot Fincorp Limited, we are focused on providing a host of financial services. Our services comprise of a mix of retail offerings in the areas of gold loan & other loan products including Auto loans, Home Loans, Micro Finance Loans, Investment products. We have been offering these services to our customers across India with a wide network of over 3700 branches. We believe in three parameters when it comes to financial services delivery, i.e. PEOPLE, PROCESS & TECHNOLOGY. Heavy investments have been made in these three parameters, and we expect these would propel our progress as a global retail financial conglomerate.